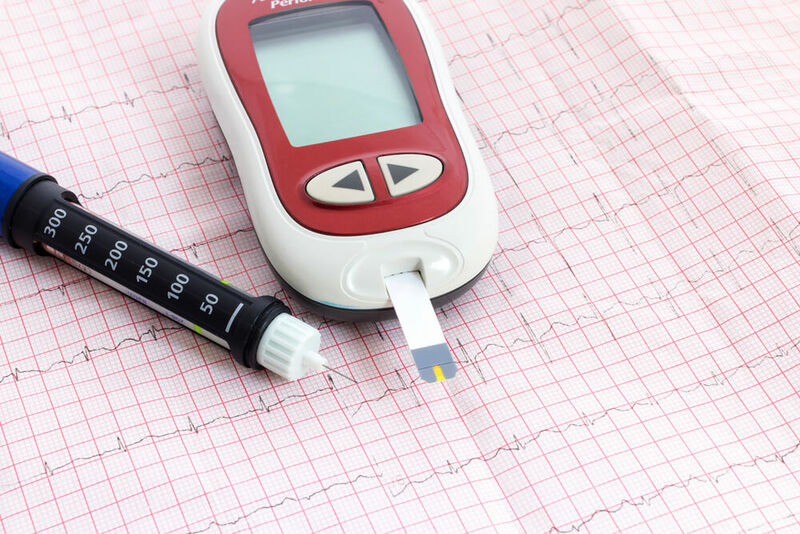 Wondering what the options are for monitoring your blood sugar? Keep reading to learn more! Knowing and understanding how to monitor blood sugar, especially at home, is crucial to your health. With the way that technology is changing, the various ways how to check blood sugar at home, and in general, is becoming easier and easier. It’s important to test blood sugar levels regularly to avoid diabetes complications and long-term health problems. How often should you check your blood sugar? Continue reading to find out the answer and more about how to monitor blood sugar levels. Click here to learn the symptoms of high blood sugar- and ways to manage it. Not one person with diabetes is alike and when it comes to how to monitor blood sugar levels, individual doctors will prescribe how often the levels should be checked. If you are someone who is in need of insulin more than once a day, it is recommended to monitor blood sugar levels around three times a day. The same goes for someone who has an insulin pump, checking blood sugar levels around three times a day can keep health in line. There are also many factors that play a role in blood sugar levels. Weather you have anemia or are in a hot place or are even at higher than normal altitudes, all of these things can alter blood sugar levels. Being aware of your body and surroundings can play in important role in how to monitor blood sugar. If you notice something is off, try recalibrating the blood sugar meter and check blood sugar again. How often should you check your blood sugar? Often. Checking blood sugar levels often can ensure that your body is functioning the way it should be. If you notice that your blood sugar is out of target range, even after re-calibrating your monitor, getting in contact with your doctor as quickly as possible is important. Continuous Glucose Monitoring: This is a way to continuously monitor blood sugar levels throughout the day and night. These systems work by placing a sensor under the skin that reports to a transmitting device allowing individuals to read blood sugar levels when they need. Sometimes these results can be transmitted to the phone, which is even more technology friendly. Using a Meter to Test Various Parts of the Body: There are devices that allow you to test different parts of your body such as the arm, forearm, thumb and thigh. Although being able to test various parts of the body can be nice, the fingertips tend to show more accurate blood sugar levels. Traditional Glucose Monitoring: The most traditional way how to monitor blood sugar levels is by pricking the finger with a small needle called a lancet. Once you have a small drop of blood, it is placed on a strip and then put in a meter to read the blood sugar levels. These meters come in a wide variety of sizes and abilities, storing information for an extended amount of time as well as graphing previous tests. Keeping track of blood sugar levels over time is important to view trends and understand what type of habits affect blood sugar levels. Also, by keeping track of blood sugar levels you can provide them to your doctor as evidence of trends and habits. By keeping blood sugar levels in line, you are allowing yourself to keep your health in line and avoiding unexpected health complications in the future.